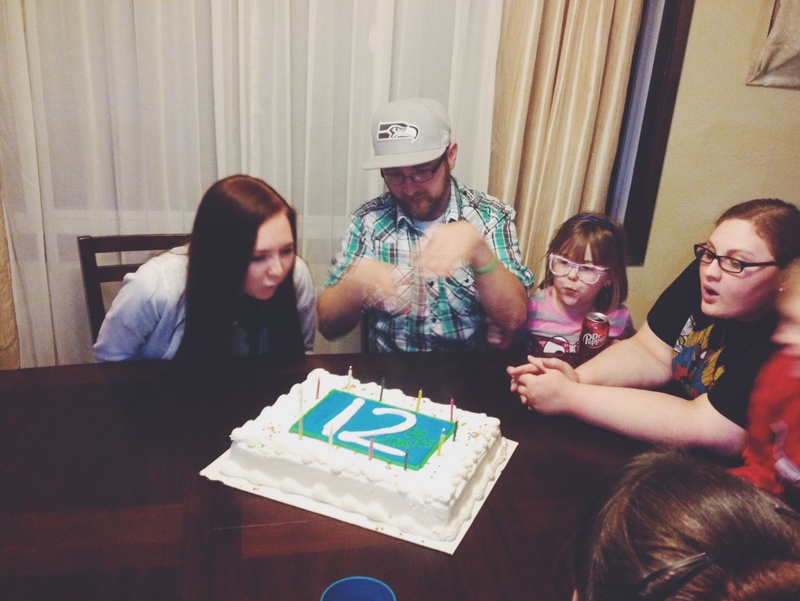 This past weekend my family and I got together to celebrate us kids with January birthdays. 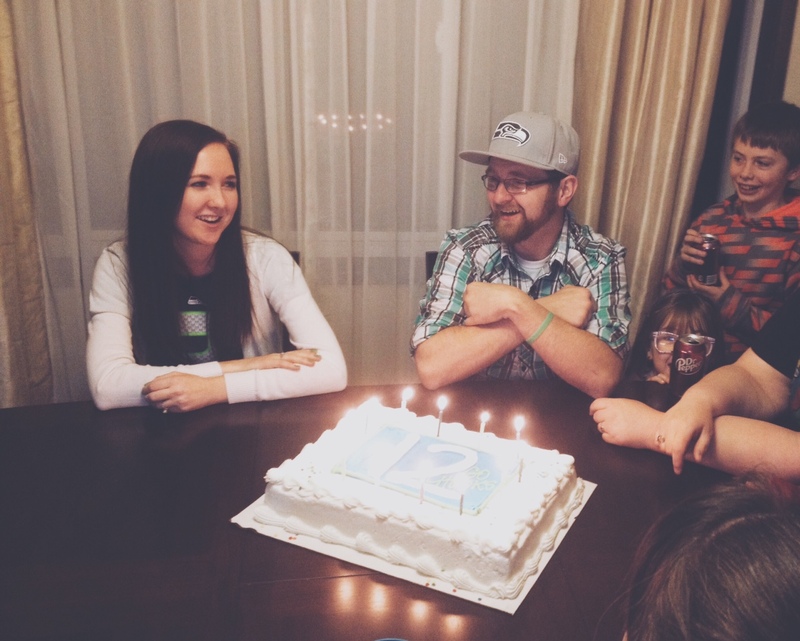 Even though my cousin, my brother, and I turned 31, 30, and 25 respectively- we’re still kids. It’s a state of mind, you see. Saturday we got together for dinner which consisted of my mom’s delicious pulled pork (a family favorite! ), brats, potato salad, chips, veggies, and strawberries. We spent the evening chowing, chatting, laughing, and lounging. 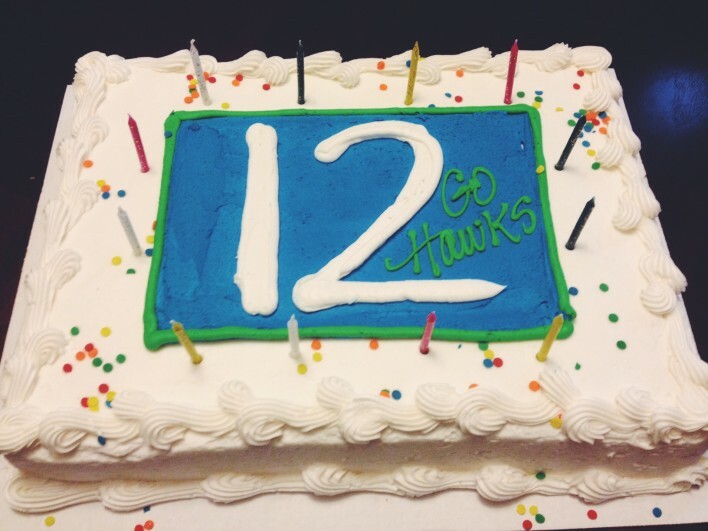 Since it was Super Bowl Eve, we had this awesome 12th man cake! When it was time to sing and blow out the candles, we were laughing as it came time to say the names- “Happy birthday Joel, Noreen, and Kaaaaylaaaaa”- because we hadn’t planned it before hand, so everyone said our names in different orders. It was hilarious. 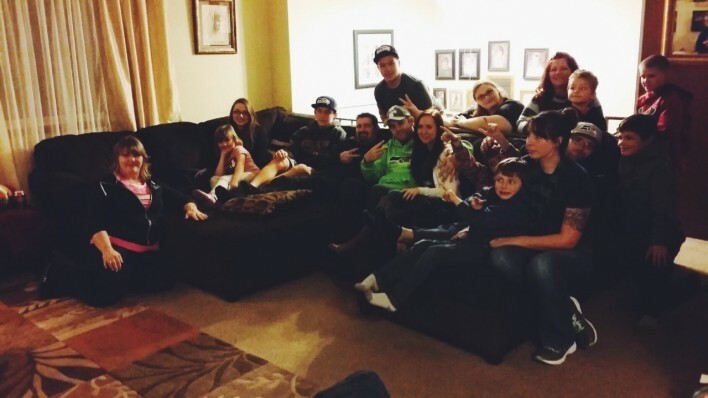 I love our get-togethers. I got some amazing presents from my lovely family- including some blouses, some really delicious smelling lotions and body wash, and a gift card to a local ceramic and art cafe. My auntie, who was in town from Oregon, surprised me with a master bathroom makeover! On Friday after work, I literally came home to a NEW bathroom! It’s so beautiful, she really has a gift for interior design. I’ll share pictures later! When it was time to end the gathering, we managed to all squeeze in for a group picture- which we basically always forget to do. Not pictured are my sis-in-law Genia, who had a terrible migraine:( and my nephew-in-law Taylor who was working. It’s alright though, Taylor’s birthday is this month so I’ll make them take a group pic then! 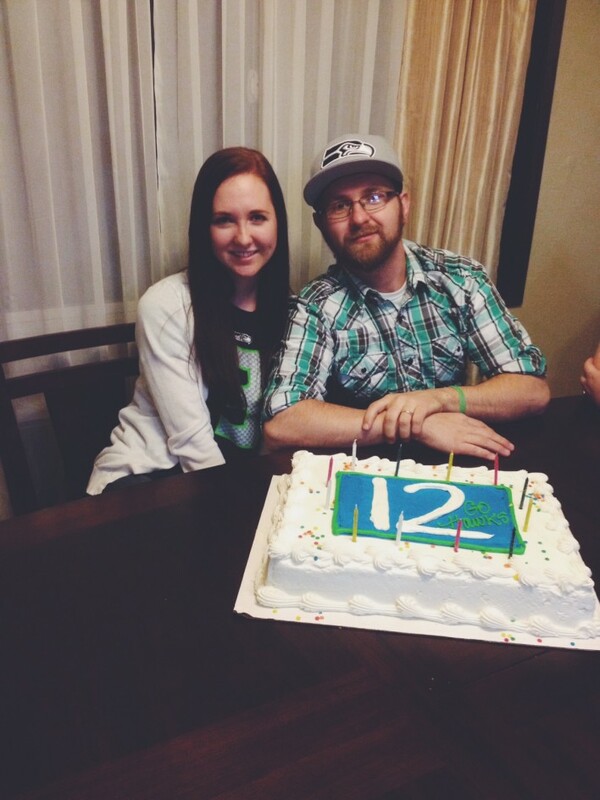 I couldn’t ask for a better family, or a better 25th birthday celebration. To many more birthdays with this crazy crew!